Concrete Precast Description: Precast concrete is a construction product produced by casting concrete in a reusable mold or form which is then cured in a controlled environment, transported to the construction site and lifted into place. In contrast, standard concrete is poured into site-specific forms and cured on site. 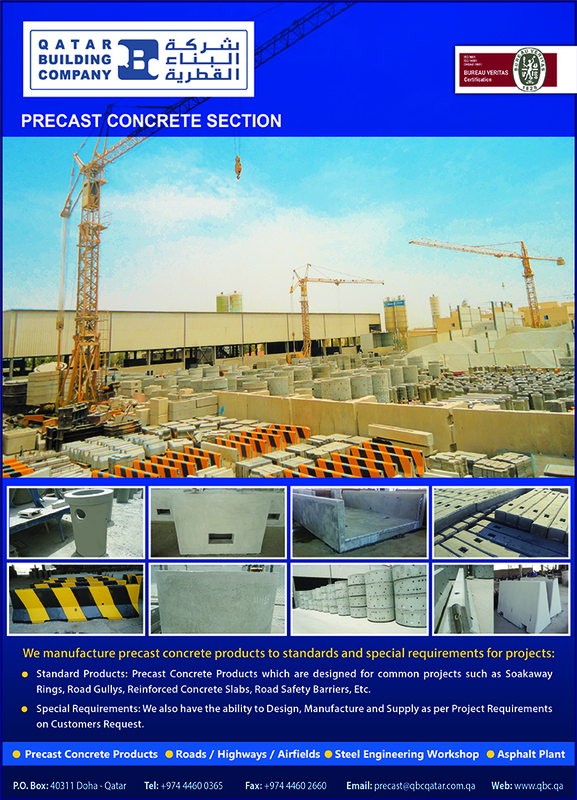 Find below the list of Concrete precast suppliers and companies in Doha, Qatar.